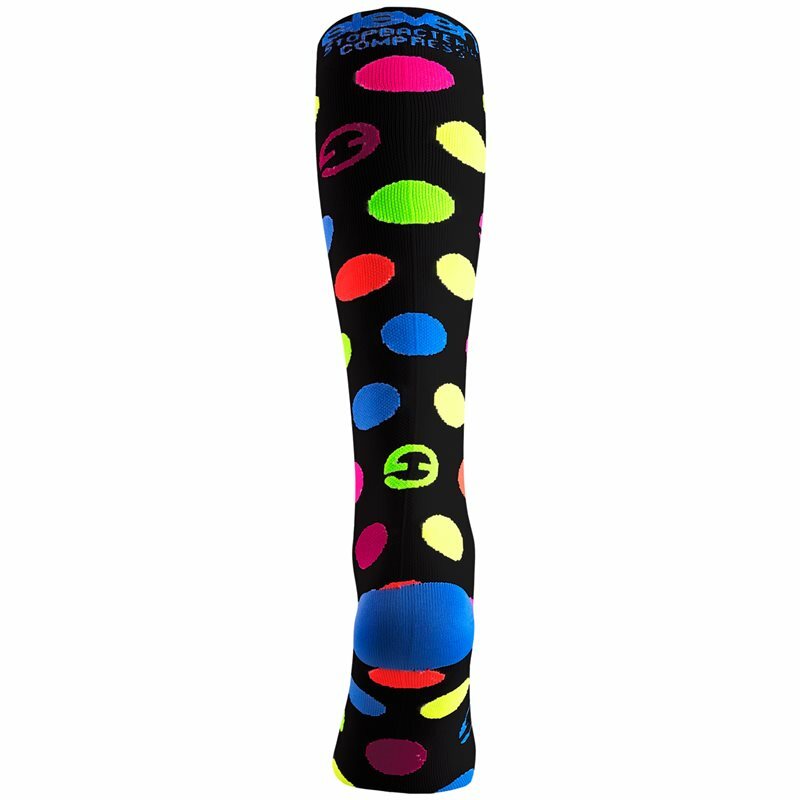 Playful long compression socks for athletes, sports enthuasists and simply active people. One of our best-sellers. 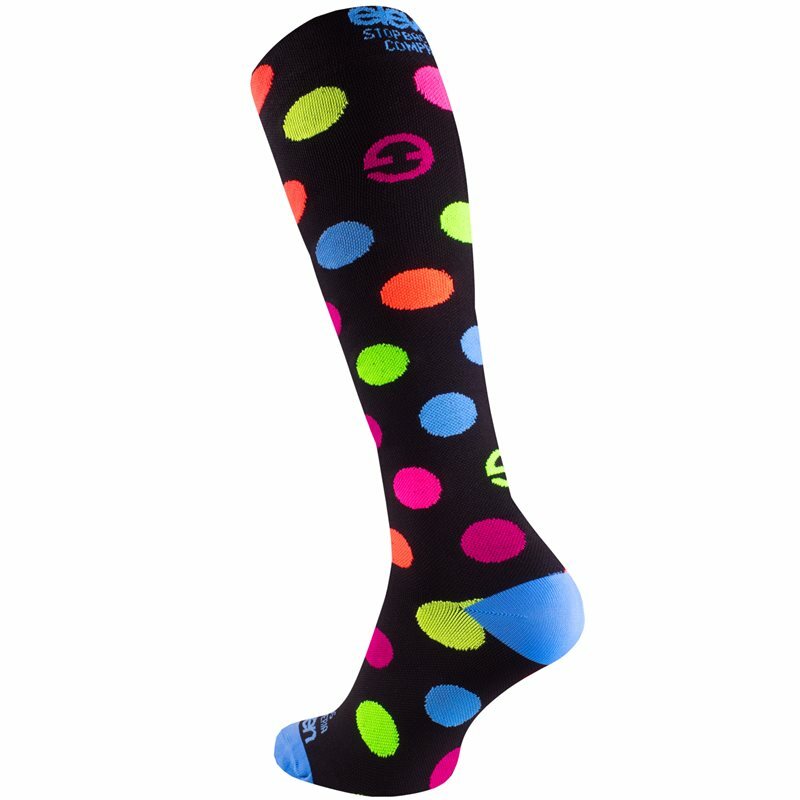 Keeps legs comfortable, prevents swelling under heavy loads and helps with the recovery after long day or training/race. 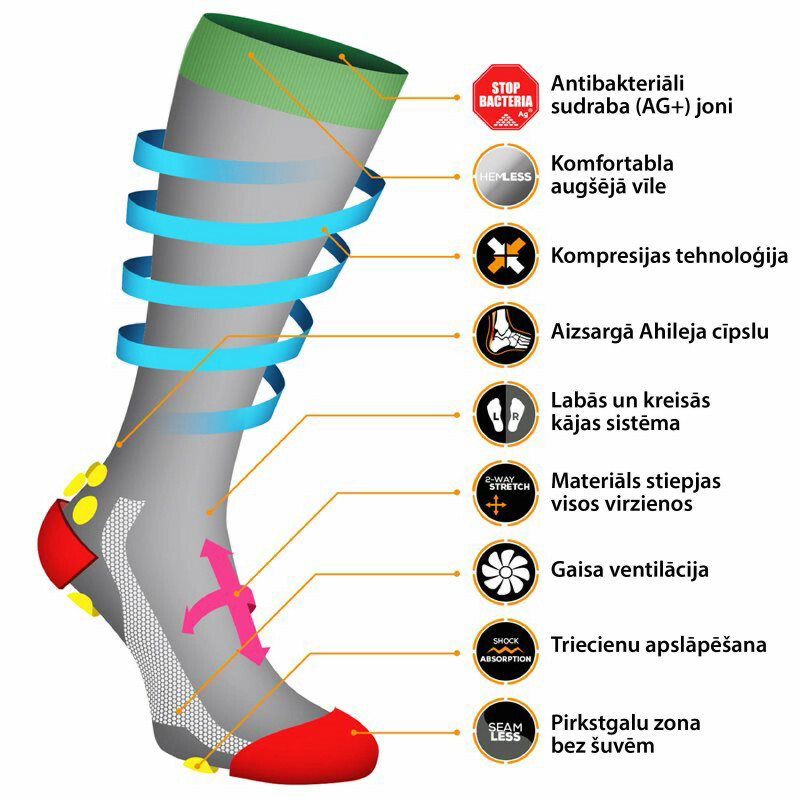 Elegant, yet playful design and colours that fit various styles.